DESCRIPTION: The Bayview Hotel is proud to be the oldest operating inn on the Monterey Bay. This elegant Victorian-Italianate structure was built in 1878 by Joseph Arano who imported fine furniture for his "grand hotel." Guest rooms are comfortably furnished and decorated in the style Mr. Arano originally planned. All rooms have private baths, some have fireplaces and extra-large soaking tubs. Some of the original furniture is still at the Inn and many photographs tell of times past. Special occasion package and gourmet getaway will enrich your stay at the Bayview. Wedding and event packages available. This and other Monterey Bed and Breakfast Inns can be found here in The Register. 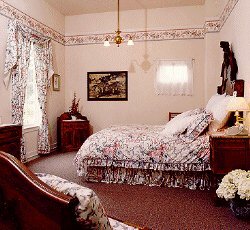 Romantic Country Inns, Getaways and B&Bs offer a great Santa Cruz lodging alternative to big hotels.